Pension Benefits and The California Rule: Time for It To Go? The “California Rule” as it has come to be known, was set forth in the case of Allen v. City of Long Beach, a challenge to a 1951 city charter amendment that sought to raise the amount of employees’ retirement contributions from 2% to 10%, and made other actuarial changes to the city employees’ retirement plan. The court held that the proposed charter amendment impaired the contract rights of the employees it adversely affected. It stated a test that would become known as the “California Rule”—changes to pension plans may be made, but if they result in disadvantage to employees, they should be accompanied by comparable new advantages.1 Since 1955, this has locked California and the dozen or so other states that follow the rule into essentially being unable to alter their pensions, even when the plans have seemingly become financially unsustainable on their current path. 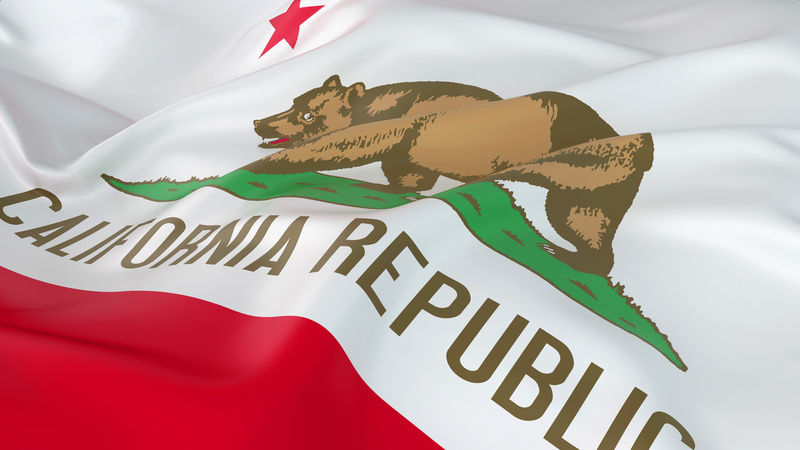 In 2013, the California legislature enacted the Public Employee Reform Act (PEPRA), which reduced pension benefit formulas and increased employee contributions, but only for employees hired after January 1, 2013. What it also did, however, is change the pension rules so employees could no longer purchase “service credits.” Since 2003, the pension system had offered, for considerable cost that was often financed, an opportunity for employees to “purchase” years of service (also referred to as “air time”). For example, having worked 10 years, an employee could purchase 5 years of service, so that their retirement pension payment would be based on 15 years’ of service, rather than 10. Cal Fire Local 2881 v. CalPERS (the “Cal Fire” case) has been fully briefed and although oral arguments have not yet been scheduled, it is expected to be heard before the end of this year. The case was bought by a labor union whose pension benefits are administered by the California Public Employees Retirement Systems (“CalPERS”). The union sued in 2013, after PEPRA was enacted. The union’s suit does not contest the application of the ban on purchase of service credits to future employees, but does challenge the ban on purchase of airtime on the basis that the option to purchase such service credits is a vested pension benefit, that it affects deferred compensation, and its withdrawal is an impairment of employees’ contract rights under the California Constitution’s contract clause, thus allegedly violating the “California Rule”. Two other cases that grapple with related issues have also been accepted for review by California’s Supreme Court: Marin Association of Public Employees (MAPE) v. Marin County Employees Retirement Association (the “MAPE” case), and Alameda County SDA et. al., v. Alameda County Employees Retirement System (the “Alameda” case). Marin county employees in the MAPE case sued the county over elimination of certain pay items from the calculation of an employee’s final compensation for purposes of calculating a pension amount. In March 2018, the MAPE case was stayed pending the Supreme Court’s hearing of the Alameda case. In Alameda, the Alameda County Deputy Sheriffs Association sued Alameda County, claiming PEPRA’s elimination of certain pay items from the calculation of a sheriff’s final compensation for purposes of calculating a pension amount was unconstitutional. The method of including various pay items in the calculation is know as a form of pension “spiking.” Similar to Cal Fire, the issues of impairment of employees’ contract rights under the California Constitution’s contract clause, and violation of the California Rule as set forth in Allen v. City of Long Beach and its progeny, are implicated. One of the first issues teed up in the Cal Fire case is whether the airtime service credit is a vested pension benefit, a vested right that would be impaired by the repeal contained in PEPRA. While the union argues in its pleadings that the Cal. Gov. Code repealed by PEPRA, Gov. Code Sec. 20909, created a vested right, the state of California argues that the offer of airtime service credit was an option to purchase, did not pertain to deferred compensation, and therefore does not implicate a vested pension benefit. It is being argued by the state and its allies that the elimination of airtime service credits is not violative of the “California Rule” because it does not disadvantage employees, or if it is a disadvantage, it is not one courts are bound to protect. They argue that because the option to purchase such credits is not a benefit earned through years of service, but rather a commodity to be purchased, a commodity that heretofore has not been priced accurately. The benefit was supposed to be revenue neutral and it’s cost was supposed to be borne by the employees, but heretofore, has resulted in vast underpricing. Another big issue in these 3 pending cases is the creation of a contractual right, and its impairment pursuant to either the federal or the California constitutions. "A public employee's pension constitutes an element of compensation, and a vested contractual right to pension benefits accrues upon acceptance of employment. Such a pension right may not be destroyed, once vested, without impairing a contractual obligation of the employing entity. "3 However, not every impairment runs afoul of the contract clause.4 Prohibitions against impairing contracts are not absolute, and an impairment may be constitutional if it is reasonable and necessary to serve an important public purpose.5 Whether a contractual right was created and thus impaired by PEPRA is at issue in these cases. In an unusual move, Gov. Jerry Brown has asked the Cal. Supreme Court to hear the cases this year, and in a very unusual move, has had the Office of the Governor’s staff counsel represent the state, as opposed to the Attorney General’s office. It is truly strange bedfellows when Gov. Jerry Brown is aligned with the California Business Roundtable and Howard Jarvis Taxpayers’ Association. These 3 cases are very high stakes for California, its public employees and retirees. While the specter of retroactive benefits reductions strike fear in the hearts of state retirees and employees, it might be better for all concerned if the state of California were to win this round, in order to refine the “California Rule” and assist the state in getting it’s CalPERS house in order. Calling the airtime service credit a vested right is a stretch, as is expansion over time of pay items to be included in the calculation of final pay for purposes of pension calculation. Lavish benefits and opportunities to “spike” pensions conferred over the last two decades exacerbated the underfunded pension liability facing the state. Without the state being able to whittle away these types of items in the name of fiscal responsibility, the whole system is left imperiled and that day of public default and retroactive benefit reduction is made more possible. 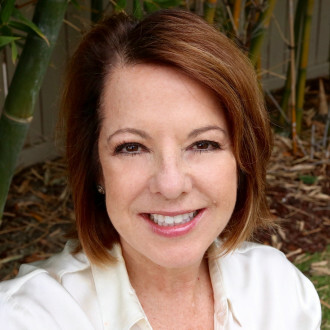 *Carol Matheis practices business litigation and insurance law in Newport Beach, California. 1 The operative language is, “To be sustained as reasonable, alterations of employees’ pension rights must bear some material relation to the theory of a pension system and its successful operation, and changes in a pension plan which result in disadvantage to employees should be accompanied by comparable new advantages.” Allen v. City of Long Beach, (1955) 48 Cal.2d 128). 2 Cal Fire Local 2881 v. CalPERS (2016) 7 Cal.App.5th 115 (Cal. Supreme Ct. review granted April 13, 2017), citing Kern v. City of Long Beach (1947) 29 Cal.2d 848, 854-855. See also Miller v. State of California (1977) 18 Ca.3d 811. 3 Betts v. Board of Administration of Public Employees Retirement System 21 Cal.3d 859, 863. 4 Allen v. Board of Administration (1983) 34 Cal.3d 114, 119. 5 United States Trust Co. of New York v. New Jersey (1977) 431 U.S. 1, 21.